Back in mid-March, Mitsubishi Motor Sales of Canada announced that long-time president and CEO, Tony Laframboise, will retire by the end of the month. Since then, Mitsubishi Canada’s new president CEO, Juyu Jeon, began his tenure at the beginning of the company’s fiscal year. Take a look below to see what this means for the future of Mitsubishi and Mitsubishi vehicles. Tony Laframboise has been a veteran of the industry for over 44 years, working with various automotive manufacturers. Starting in 1975, with Nissan Canada, he eventually became one of the first employees at Mitsubishi Motor Sales of Canada, playing a critical role in growing the Mitsubishi brand throughout the country. From there, he worked his way to the position of Vice President of Sales and Marketing, in April 2017, before becoming president and CEO shortly after. Laframboise helped shift Mitsubishi’s strategy to a more SUV-focused company by doubling its offerings in that segment, pushing more than 5,000 units in a calendar year for the company’s first plug-in hybrid, the Outlander PHEV. 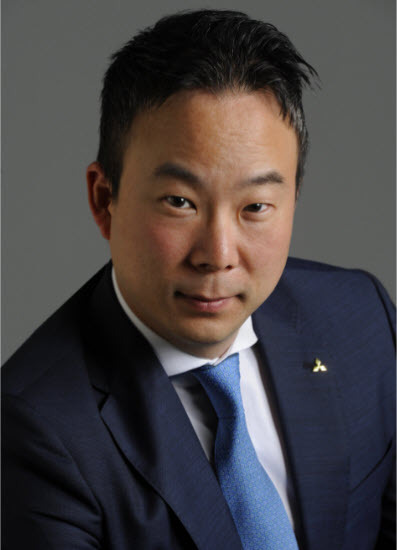 As Mitsubishi Motor Sales of Canada’s incoming president and CEO, Juyu Jeon has been an automotive executive for companies in a variety of countries, including areas such as the U.S., Latin America, the Middle East, Africa and Australia. Since joining the company in 2005, Jeon has played a key role in the company’s development, with strategic corporate planning that helped reposition and grow the brand in key global markets for the entire Mitsubishi Motors Corp. Much like his predecessor, he became the Vice President of Sales & Marketing, Corporate Planning and Business Control once Laframboise became president and CEO and has aided the company to two consecutive record sales years, including those for the Outlander PHEV. The transition in power from Laframboise to Jeon represents a period of rapid growth and transformation for the company, as drivers will begin to see a more aggressive product offering and brand recognition in the immediate future. To learn more about what this change in leadership will bring to Mitsubishi vehicles, contact us here at West Side Mitsubishi!